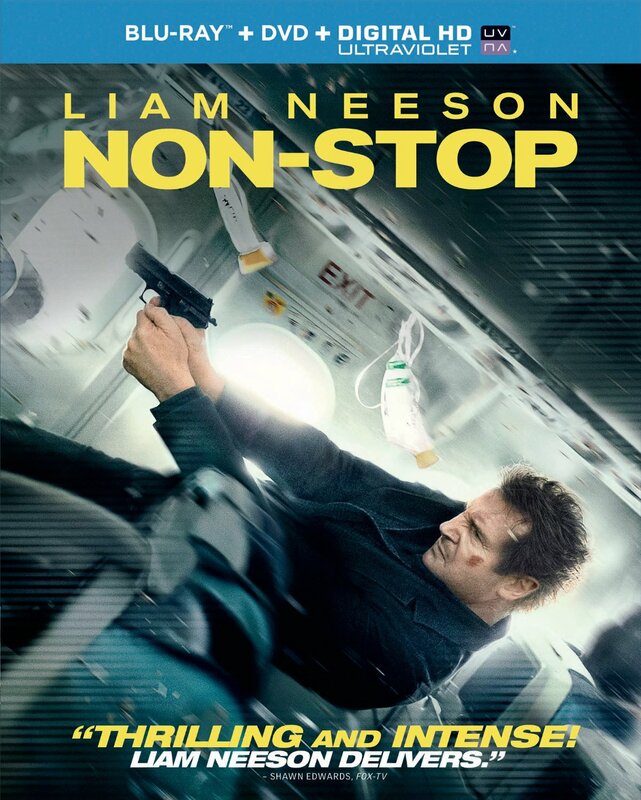 (2014, Universal) This brawny vehicle for star Liam Neeson’s second career as movie tough guy plays like Murder on the Orient Express staged as an airplane disaster picture, with Neeson’s weathered TSA marshal trying to ferret out the hijacker from the passengers aboard a transcontinental flight. Clunky dialogue and logical lapses notwithstanding (how the 6’4” Neeson barrels down the narrow aisles of a plane without crashing into any seats is a top-shelf puzzler), Non-Stop benefits greatly from Jaume Collet-Serra’s brisk direction, which keeps the action moving in his confining location, and a solid supporting cast led by Julianne Moore, who does a lot with her limited sounding board/romantic interest role, as well as Michelle Dockery, Oscar winner Lupita N’yongo, Scoot McNairy and character-actor-of-the-moment Corey Stoll. Downton Abbey fans will be pleased to note that the former Lady Mary throws a mean haymaker. 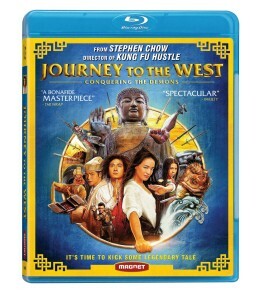 The Universal Blu-ray includes several making-of featurettes. (1967-1968, CBS Home Video) Harlan Ellison wrote this episode of the 1967-1968 CBS series, which departs from its usual Western drama storylines for a surprisingly creepy foray into horror. A mysterious fog blows into the Cimarron Strip, and with it comes a killer who stalks the border town’s ladies of easy virtue. 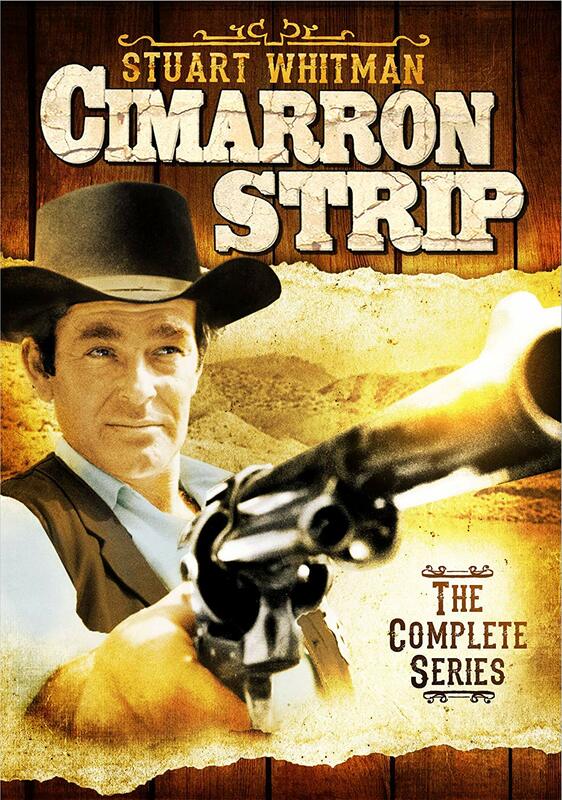 Star and co-producer Stuart Whitman handles the two-fisted element of the investigation, but it’s comic sidekick Randy Boone who makes the vital connection between the rash of murders and Jack the Ripper, whose spree in London ended just months before. Ellison’s terse, hardboiled dialogue is a considerable plus, as are Whitman’s nervous walks through the studio-bound mist, both of which which help to set “Knife” apart from the standard-issue horse-and-hat fare. As with most episodes of this 90-minute series, the supporting cast of red herrings is huge and chock-a-block with faces familiar to late-night TV habitués, including a clean-shaven Tom Skerritt; future daytime soap vets David Canary, Jeanne Cooper and Phillip Carey; Jennifer Billingsley, Karl Swenson, Grace Lee Whitney (Yeoman Rand on Star Trek) and even Joe E. Tata, for crying out loud. The entire network run of Cimarron Strip is presented on CBS Home Video’s eight-disc set, along with a lengthy talking-head interview with the still-rugged Whitman. 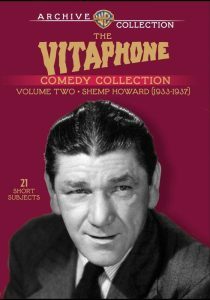 (1934, Warner Archives) Shemp Howard gives an unbridled performance in this bizarre short for the Vitaphone Company, which also offers a wholly fictitious origin story for Hall of Fame pitchers Dizzy Dean and his brother Paul “Daffy” Dean. As “Lefty” Howard, near-sighted hurler for the Chicago farm team, Shemp wreaks mayhem on the field until manager Richard Cremer sends in the Dean boys (as themselves), who prove pitching savants. Their string of strikeouts catch the eye of a scout for the Cardinals, and then it’s off to a thumbnail version of the 1934 World Series, complete with Dizzy recreating his famous groundball-to-the-head stunt that took him out of Game 4. Daffy steps in to put away the last few Detroit hitters, and the crowd’s resulting rush for the mound leaves Shemp sputtering in his longjohns. Roscoe Ates (Freaks) is also on hand, applying his usual speech-impediment shtick as an addled umpire, but “Dizzy and Daffy” comes alive whenever Shemp unleashes his arsenal of spastic physical comedy – flailing limbs, pratfalls, incessant, seemingly deranged muttering and that uncontrollable mop of hair – which underscores why he quickly vaulted from bit player to bona fide scene stealer at Vitaphone and in Hollywood before rejoining the Three Stooges in 1947. Twenty other Shemp shorts, all filmed between 1933 and 1937 are featured on the two-disc Vitaphone Collection, Volume 2, including his popular stint as cantankerous manager Knobby Walsh in the “Joe Palooka” series. (1950, Sony Choice Collection) Unsung noir novelist David Goodis adapted his own novel for this stylish B-thriller starring Dan Duryea as a career thief whose latest heist may prove to be his undoing. The theft in question – a necklace owned by a faux spiritualist – is less important to the picture than the toll taken on Duryea on his crew – slob/goon Mickey Shaughnessy, itchy Paul Capell and Jayne Mansfield, who plays the innocent waif in order to case Martha Vickers’ house – as they wait for the heat to cool down before selling the necklace. Everyone gets unglued in a hurry, helped in no small measure by a relentless crooked cop (Stewart Bradley) on their trail, and bad things are soon doled out to the wicked and innocent alike. There’s a lot to like about The Burglar, from Duryea – who, in face and talent, was the William H. Macy of his day – in a rare lead to the aggressive, pulpy pleasues of Wendkos’ direction and Goodis’ script, which lays on the inexorable doom of his novels with a trowel. Mansfield also acquits herself well as Duryea’s charge/apprentice, but Vickers makes a greater impression as a hot-blooded lush with unseemly designs on Duryea. Filmed in 1955, but unreleased until 1957 when Mansfield had become a pin-up idol in the wake of Will Success Spoil Rock Hunter? East Coast residents of a certain age will appreciate the Philadelphia locations (with real off-duty police playing on-screen cops) and the finale at Atlantic City’s Steel Pier, with a tour through the spook house and a glimpse of the famed Diving Horse. (2013, Magnet Home Releasing) Eye-popping epic fantasy adapted from a classic 16th-century Chinese novel by writer/producer/director Stephen Chow (Kung Fu Hustle) in his signature freewheeling, slapstick-heavy style. Wen Zhang is a hapless Buddhist acolyte and aspiring demon hunter who finds that his approach – reading nursery rhymes to evil spirits – is not providing him with the path to enlightenment. 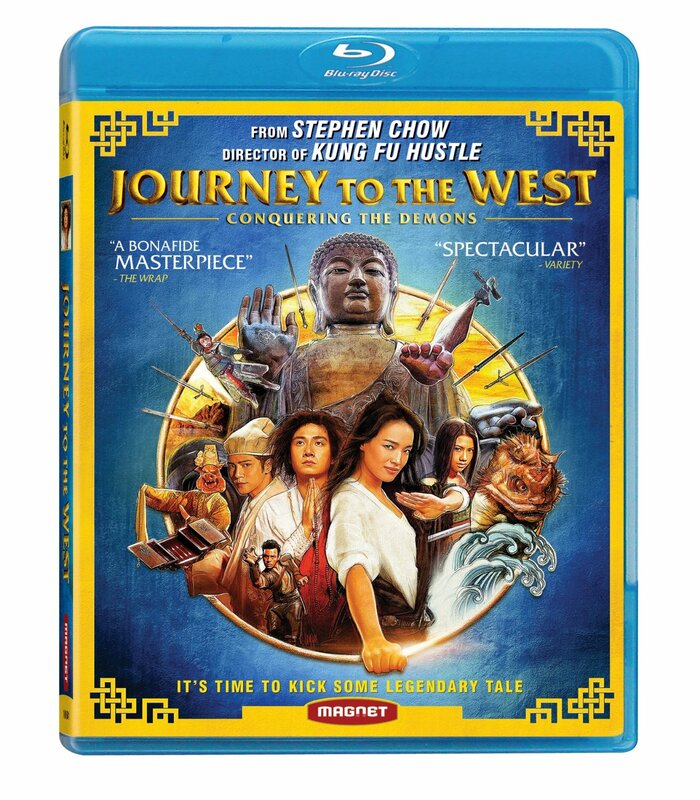 He teams with Duan (Shu Qi), a tomboy with lethal skills to battle a string of monsters before facing the legendary Monkey King (Huang Bo), who carries a 500-year-old chip on his shoulder against the Buddha for imprisoning him in a mountain. Chow’s players adapt well to his rapid-fire comedy approach, with Wen and Shu providing the most laughs with their awkward (and frequently violent) attempts at a romantic pas de deux. The CG effects are plentiful and more imaginative than the majority of Hollywood efforts; some creations, like a ravenous, feline-headed water demon and a Buddha the size of Galactus, approach Harryhausen-esque levels of wonder. Magnet’s DVD includes a smattering of EPK-type featurettes that look at the film’s production, as well as the original trailer.